If you are using concrete for flooring in York there can be a lot to consider for example concrete for a domestic floor or for on top of under floor heating or even for an industrial floor use very different mixes. 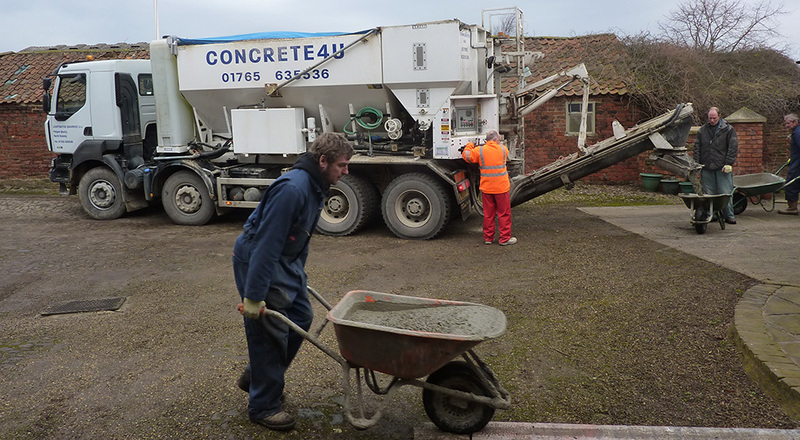 Here at Concrete 4u in York however we can help work out which concrete is right for your job no matter the size of the scheme. We will help you interpret any specification to ensure you get the correct flooring concrete ensuring it is fit for purpose and as we are quality accredited through BSI you can rest assured that all our material is produced to a high standard. If you visit the frequently asked questions page of our website there is advise on how to lay concrete and how to protect it so you get the best finish and life from the material. 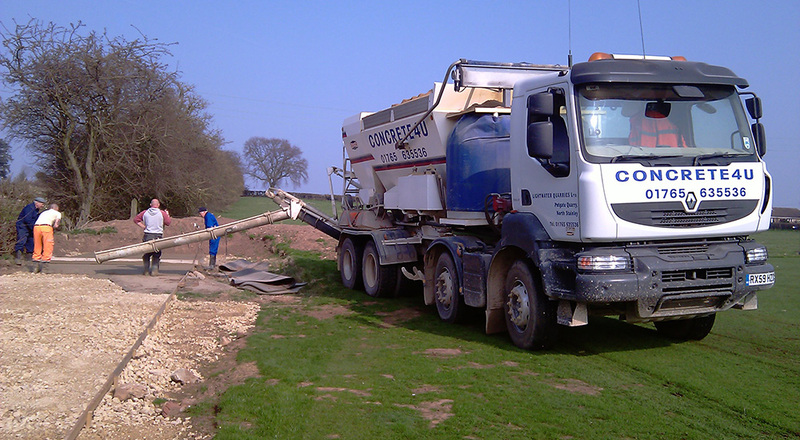 Because at Concrete 4U we mix on site in York when you are laying flooring concrete you never have to worry about over or under-ordering material because we can make on site in York as much or as little as you need and when you say stop we stop ensuring no wasted material and no mess. For tight access sites in York if, for example you are putting in a new conservatory and want to lay the floor, we have a mini-mix drum which carries 3.5m3 and has a weighing platform so again we can ensure you only pay for what you use by weighing off the material and taking away any waste with no mess and no cost for disposal.